Returns a bsdf representing a cone reflection along a given direction vector. 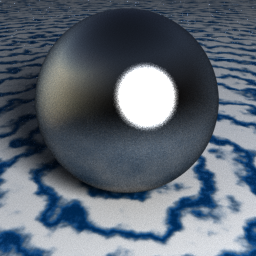 This BSDF is constant within the given angle, producing a similar result to the gather or irradiance loops. In shading contexts, fills in the current surface normal automatically.